Mardi Gras is a massively popular traditional holiday in the United States and other countries in Europe. It is a carnival that has strong links to Christianity, and, in the United Kingdom, it is known as Shrove Tuesday. It’s a celebration that dates back thousands of years, and you have probably taken part in it at some point, even if you knew it by a different name at that point. It’s important to try to learn as much as we can about different celebrations, festivals, and religious holidays. And Mardi Gras is one that plays a big role in our culture so we could stand to learn a little more about it. It’s important to look at the origins of Mardi Gras, but we should also look at exactly what it is and where the purpose of the celebration comes in. Mardi Gras, as you may already know, is a celebration important to Christianity. It can often take place after Three Kings Day, and it culminates the day before Ash Wednesday. Now, Ash Wednesday marks the first of a 40 days and 40 nights period of fasting known as Lent. During Lent Christians are supposed to give up something they love in order to understand how Christ felt during his 40 fast in the desert. Mardi Gras traditionally involves people consuming richer and fattier foods for one last night before fasting begins. Mardi Gras is thought to date back thousands of years to pagan times, specifically the celebrations of Spring. When the Romans were exposed to Christianity, religious elders decided the incorporation of the Roman festivals Lupercalia, and Saturnalia into the religion was the best approach. So this became like an early form of Mardi Gras, and the celebrations have continued ever since. 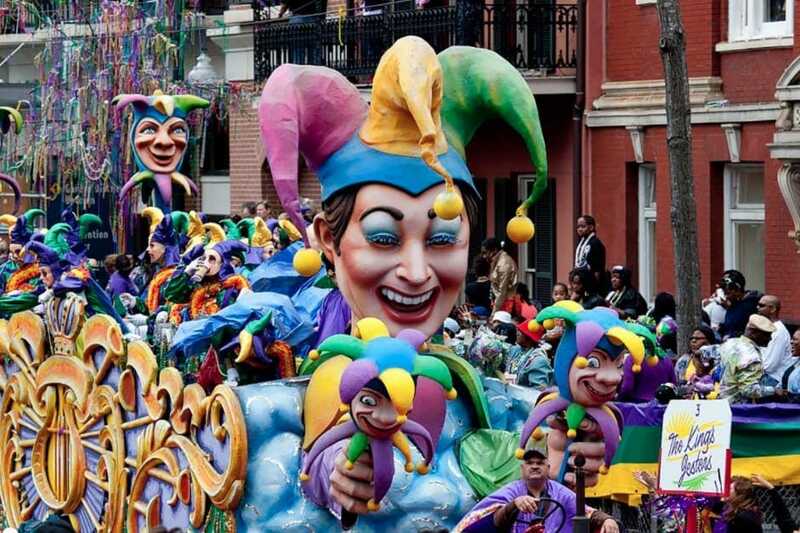 In 1699, Mardi Gras came to the United States courtesy of French explorers who came to Louisiana, but the first Mardi Gras parade in the US didn’t take place until 1837. However, Alabama claim they (under the name Mobile) hosted the first-ever US Mardi Gras parade. As we know, Mardi Gras is a staple holiday in the United States these days, and millions of people get involved in celebrations. That’s not to say there have not been cancellations, such as in 2006, when the fallout from Hurricane Katrina resulted in the cancellation of the planned Mardi Gras parade. It should also come as no surprise that the Super Bowl has had an impact on celebrations over the years. For example, the 2013 Super Bowl was hosted by New Orleans, who also hosted a Mardi Gras parade. Because the schedule got too much, it was decided that Mardi Gras should be canceled. So Mardi Gras did not actually originate in America, but the United States has certainly embraced celebrations and made the festival her own. 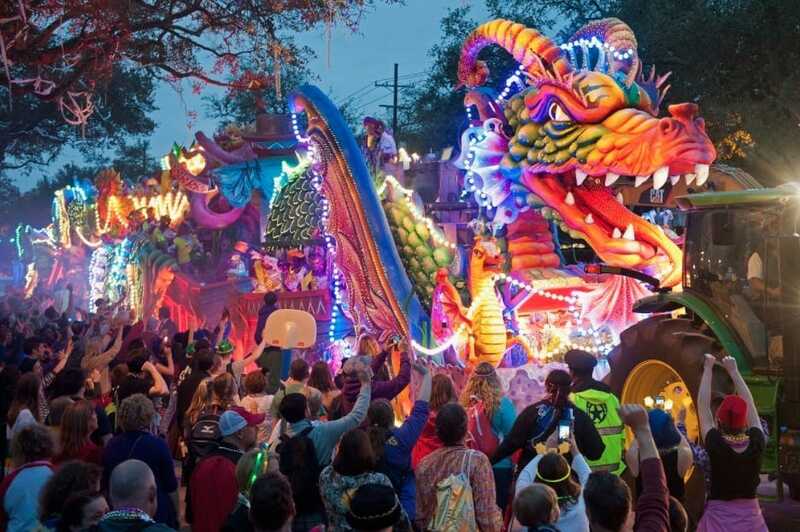 There are so many excellent things you can do over Mardi Gras, and your city will most likely be hosting some sort of parade or get together that you can attend. Mardi Gras is such an iconic festival and one we suggest you get involved with.